Oven baked chicken wings can be extra crispy just like fried! As you know, I don’t like to fry foods very often. 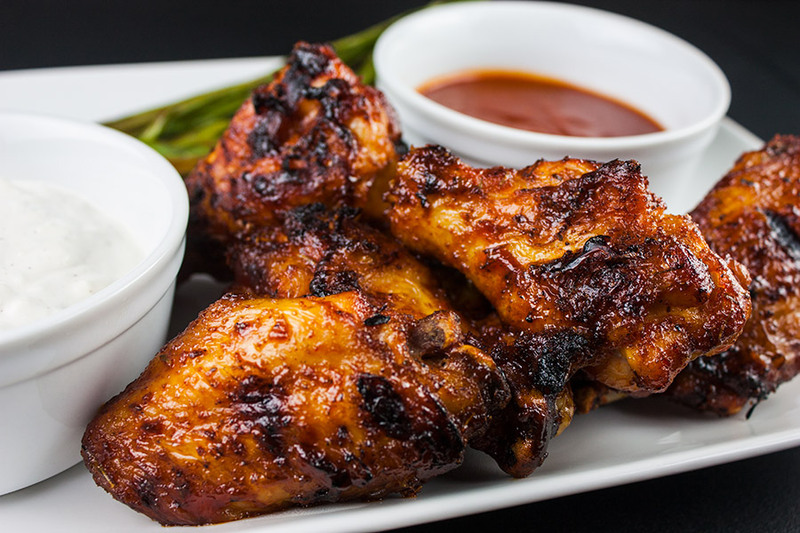 We have always baked or grilled our chicken wings. 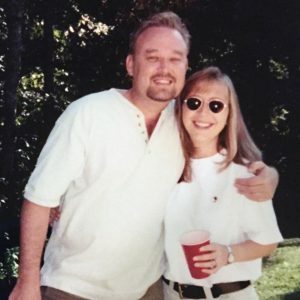 I came across this blog post and it has changed the way we bake them forever. 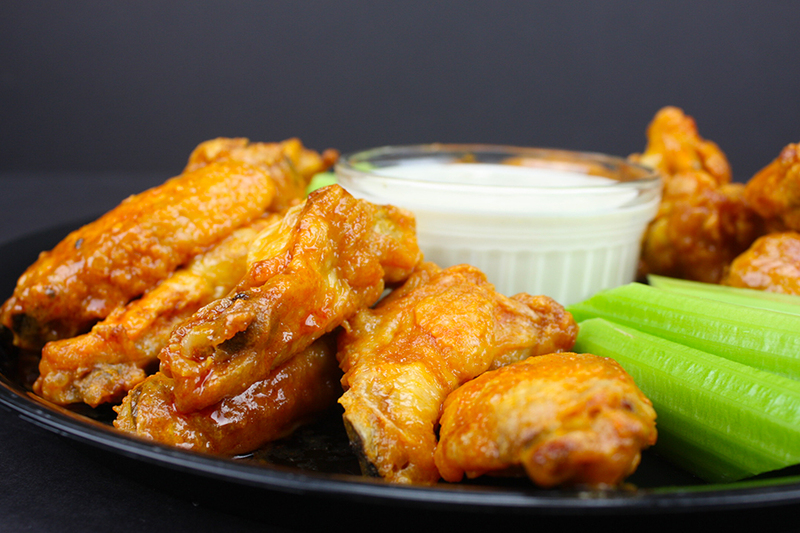 Toss the wings with BAKING POWDER! Who knew, right? The baking powder mixed with salt dries out the skin leaving it crispy and crunchy. I’m all in! 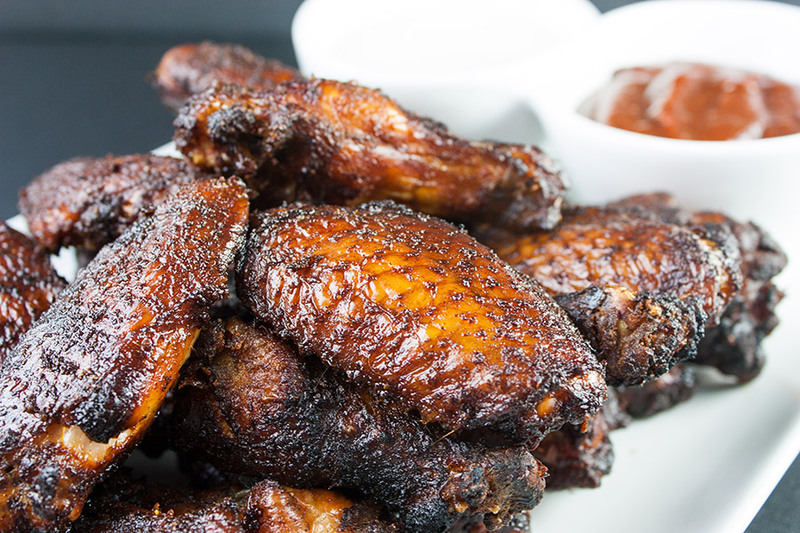 Just look at these crispy wings! This technique is really simple. Toss the dry wings with baking powder and salt. Place them skin-side up on a rack placed on a large baking sheet. Make clean up easy on yourself by wrapping the baking sheet in foil, then spraying the rack with oil. Bake them on a low temp to render the fat for 30 minutes then crank up the heat and bake another 40-50 minutes. Golden, crispy, crunchy chicken wings! Update: Some readers are saying it takes them longer to crisp the wings so cook to your desired crispiness. Toss them in the wing sauce and serve. 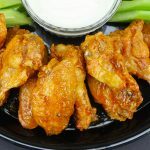 If you’re a true fan of chicken wings, you have to check out our other delicious chicken wings recipes at the bottom of the page! Crispy Oven Baked Chicken Wings - The trick to extra crispy oven baked wings! No more deep frying. Place a rack onto a large baking sheet and spray with non-stick oil. 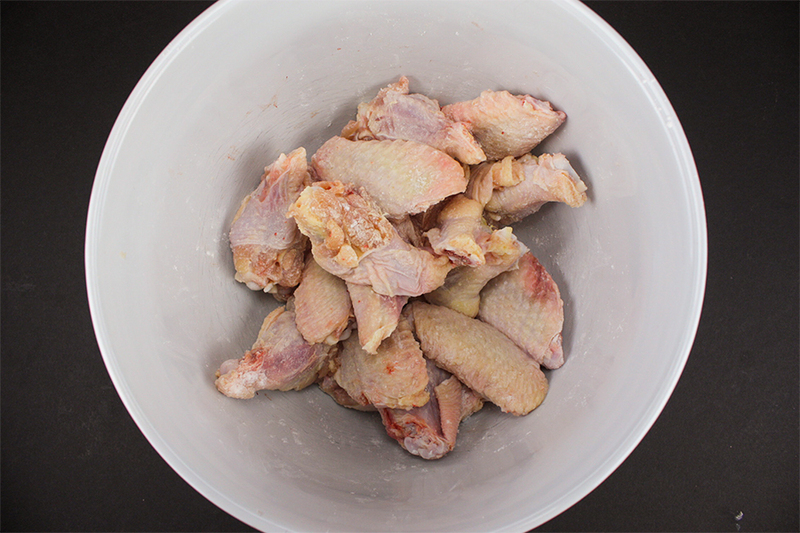 In a large bowl, toss the wings with the baking powder and salt. Place wings on the rack in a single layer and bake for 30 minutes. After the first 30 minutes, raise the heat to 425°F and bake until brown and crispy, 40-50 minutes. Combine hot sauce, Worcestershire sauce, and butter in a small saucepan. Simmer over medium-low heat for 20 minutes. Remove the wings from the oven, toss with the sauce to coat and serve. Update: Some readers say it takes a little longer on the last bake to get the wings as crispy as they like. 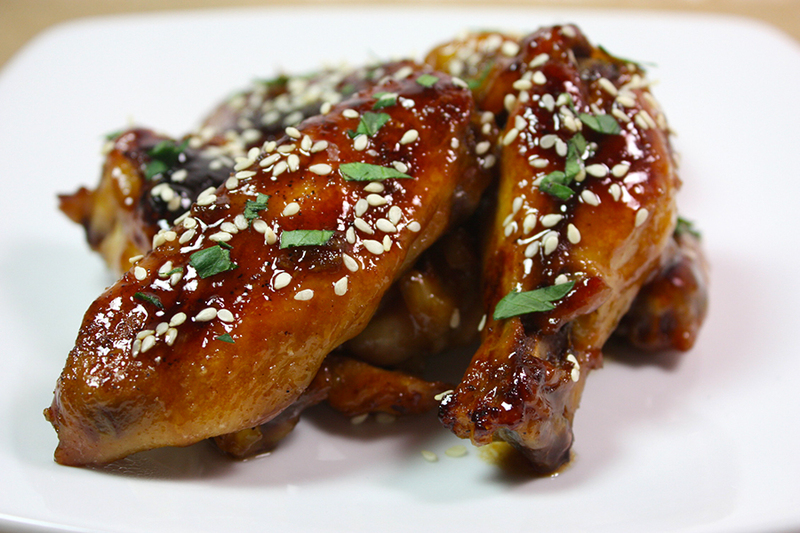 Check Out These Other Chicken Wing Recipes! I made these wings tonight along with the Honey srihacha wings. Wow wow wow!!! They Were crispy and both sauces were delicious. My family gave them two thumbs up and were discussing what else they could use the honey srihacha sauce for. Try it and be amazed like we were. 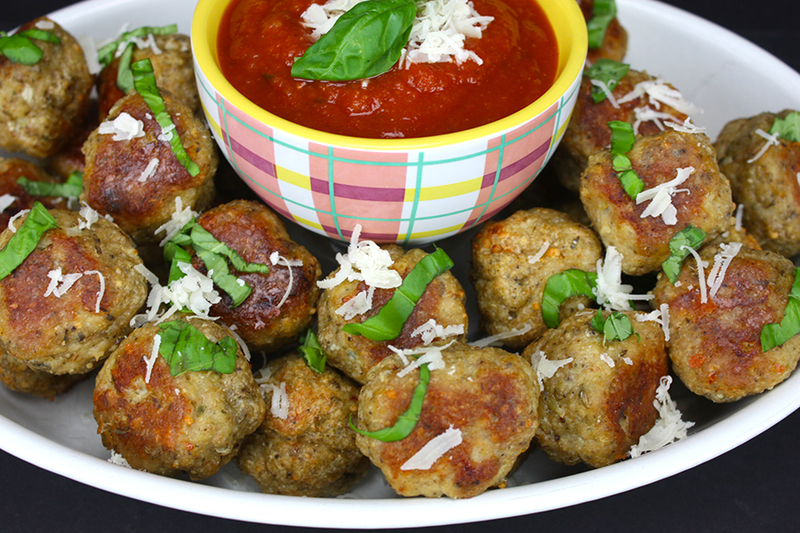 Oh my goodness these look good! Pinned. Love the trick with the baking powder. 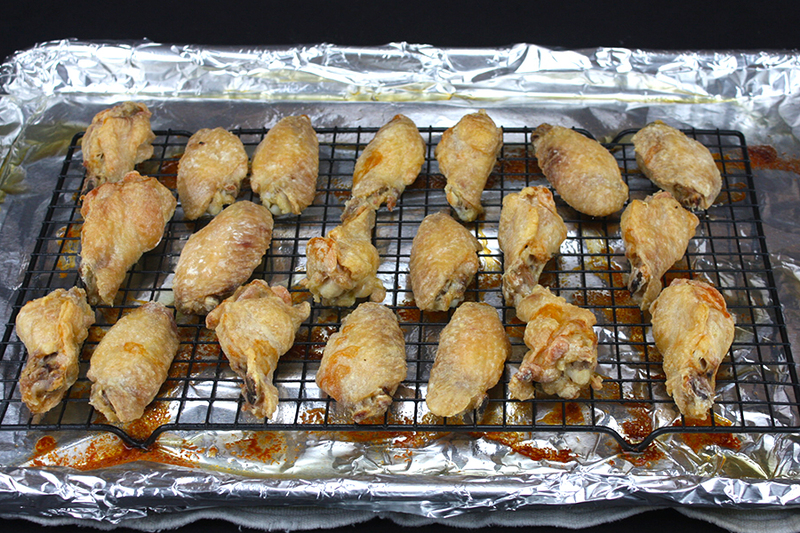 Looks like I might be able to enjoy some chicken wings soon – I’m not into frying but I love to bake things like this. April, I feel the same about frying! 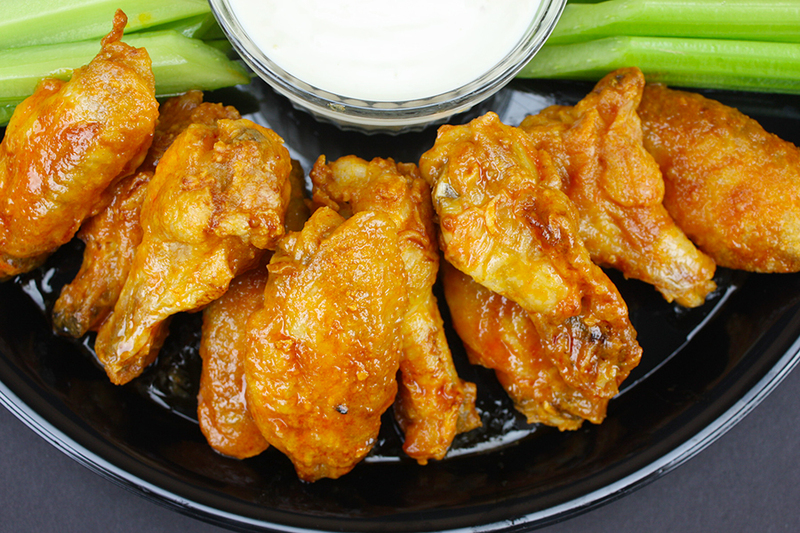 You will love these wings. This was my second time of making these wings. The first time I followed the directions exactly and the skin didn’t really crisp up enough until I baked at 425 for 75 minutes and by that time they were very dry. The second time I cooked at 275 for 30 minutes, then 45 at 425 and they were perfect. So pay attention to your oven and you’ll get nice, crispy, juicy wings. Hey Stacia, does your oven typically cook things faster than recommended cooking time? These were wonderful! My new favorite way to fix chicken wings! As someone above posted, however, know your oven. I know mine is a little low, so I cooked at 250 for 35 minutes and had to cook at 425 for 55. Anyway, they were crispy and juicy and cooked perfectly. (Now I want them again…) Thank you for posting this! Can the wings be frozen or do I need to thaw them first? The must be thawed. Thanks for coming by, Greg! Made them tonight added some smoked paprika with the baking powder it was WOW!!! I use this recipe all the time. I had my own Cajun seasoning and sauce. Perfect every time! We are so happy you enjoy the recipe, Michelle! Thank you so much for coming by to tell us. I made these wings about a month ago. I have gotten rid of all my other wing recipes. I won’t be needing them anymore! This is the only recipe I will use from here on out! Yum! Crispy on the outside and juicy on the inside. Thanks for sharing! Aw, thank you so much, Kellie! 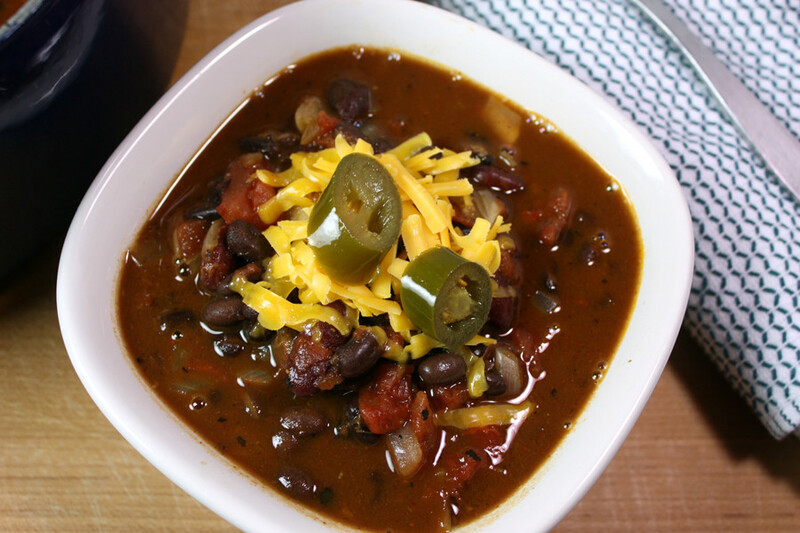 We LOVE to hear from our readers and are so happy you like the recipe. Joyce, we are so happy you guys enjoyed the recipe!!! We love to hear from our readers, thank you so much for coming by! 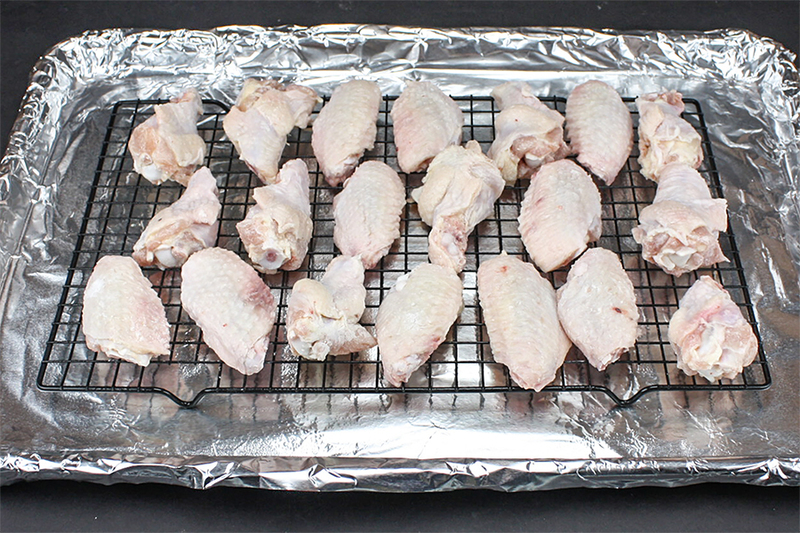 I have an infrared oven so the first time I made the wings it got smoky in the house then the second as well, I’m assuming instead of 450 I’ll go down to 420 -425… now I’m airing out my house , but the wings do turn out crispy!! Any chance these can be prepared ahead of time and then warmed in the crock pot? Hi Nikki. I’m not sure they would remain crispy if you warm them in the crock pot. If you try it I suggest placing paper towels draped under the lid to catch any condensation. Happy Holidays! I’ve made these twice and super fussy boyfriend lived them just plain!! Can this process be used on bone in thighs? Hi, Rebecca! No, I would not recommend freezing them after they are cooked. They wouldn’t be crispy. Pardon my ignorance. 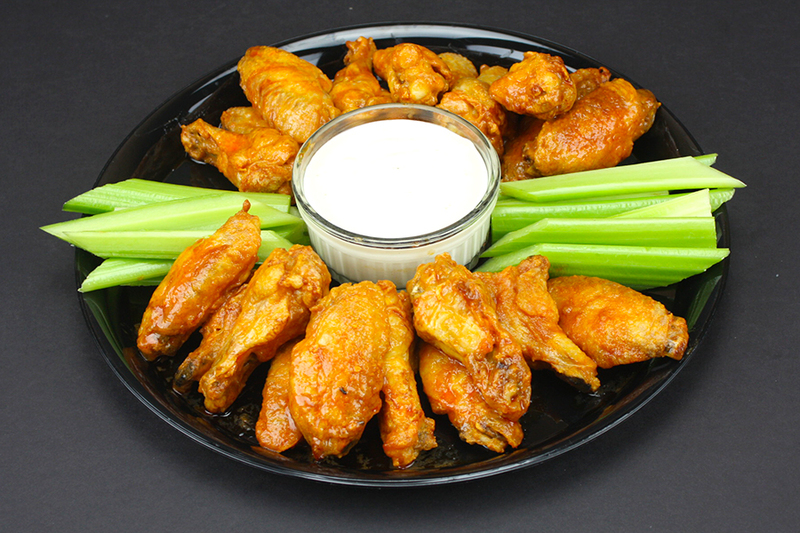 What does adding baking powder do for the wings? 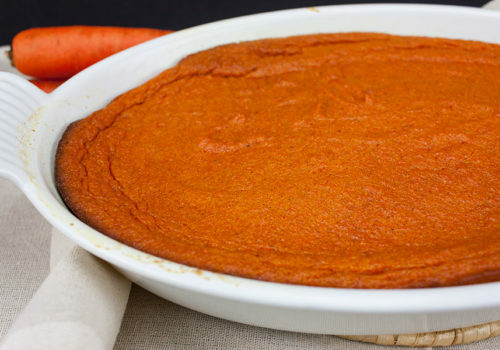 The baking powder mixed with salt dries out the skin leaving it crispy and crunchy. Thanks for coming by! Can you use a mixture of garlic powder, onion powder, maybe a little celery salt mixed with the baking powder to add flavor? I don’t see why not? Let us know how it turned out. Sorry for the late reply, we were on the road. Forgive my ignorance but I have a question. When you raise the temp from 250 to 425, do the wings stay in the oven or do you remove the wings until the 425 degrees is reached and returned the wings then? Yes, you leave them in the entire time. Thanks for the question. Seems like baking powder mixture is not enough for 3 lbs of wings. I tried it not all were covered. Hi, Sandy. You are not trying to create a breading or coating for the wings. Because that little bit changes the ph of the wings which is what makes them crisp up so well. My oven has different types of bake settings, convection (which cooks things faster), roast, or regular bake. Which setting should I use? Ive never made homemade wings and want to make sure I don’t dry them out. Hi, Chelsea. We use regular bake for the wings. If I set them on a double broiler instead of rack do you think they will come out ok? I’ve seemed to have misplaced my cooling rack. Is it ok to add some pepper to the salt and baking powder?